Nothing is more classic than the spiral in jewelry design. 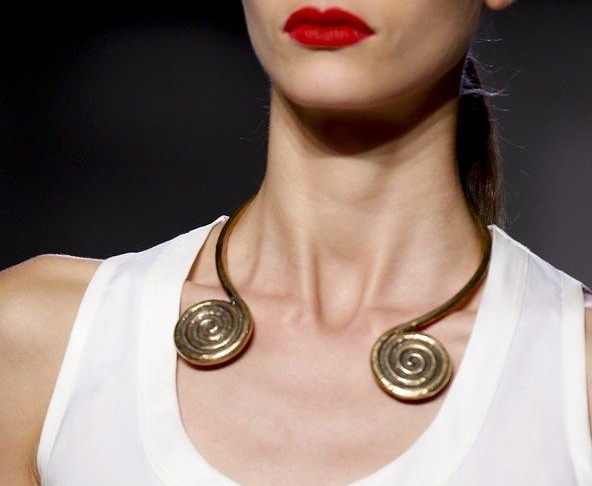 Altuzarra includes several reverse cuff necklaces with spiral accents in his Spring 2014 collection. I think we can place this in the ‘we can do this category’.